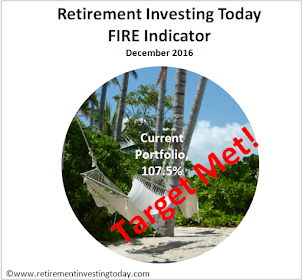 Last weekend, as I do every weekend, saw my Excel spreadsheet that shows my financial position and compares it to my long ago mechanically set target allocation updated. Boring and absolutely no brain power required. Total time spent 10 minutes. My employer paid me on the last day of the month, Tuesday. Total time spent to ensure money had cleared in my account was 5 minutes. I’m a big believer in the Pay Yourself First mantra and I’m ruthless at it. This means before I pay any bills, before I buy any food, before I do anything I Save Hard. So with money in the bank and one eye on my Excel spreadsheet I knew I needed to allocate to cash and so 100% of my savings were moved over to RateSetter. Total time to move my money and set-up an auto investment in their 3 year market at 5.0% was 5 minutes. Again, boring and absolutely no brain power required. Over the next few days my employer will get around to salary sacrificing a big chunk of my salary into my employer selected defined contribution pension fund. I know that my current set-up will have 20% of this invested into an Emerging Markets Index Tracker and 80% will go to an Index Linked Gilt Tracker. Next weekend I’ll login to make sure that my employer has completed the transfer and the investment is correct. Total time will be 5 minutes and again it will boring plus require absolutely no brain power. By next weekend I will have spent 25 minutes managing what is now a very large amount of wealth. I am also done until next month. However while it’s incredibly boring and requires no brain power boy is it effective. Having been at it for a few years I now honestly believe that this strategy is all that somebody needs to build wealth successfully. The other 10% of my strategy ignores my latest thinking and modifies the strategy slightly with time consuming pursuits centred on trying to squeeze a little extra performance by altering allocations based on Cyclically Adjusted PE (CAPE) values as well as trying to build a dividend income stream that will mean I don’t have to sell down assets in early retirement through the use of a High Yield Portfolio (HYP). That 10% of course takes plenty of effort. In the last week alone I've invested about 10 hours. The end result was a HYP purchase in the form of bhp billiton (ticker: BLT). This was funded from old money and recent dividends sitting in my Hargreaves Lansdown account. This now brings my HYP stamp collection to 10. The bhp billiton business model is easy to understand. From what I can see its discovery, acquisition, conversion and the marketing of natural resources. I prefer large and non-cyclical industries. It’s certainly large with some $67 billion in revenues. As a commodity company I do however acknowledge that it is very exposed to commodity price changes. I already own Sainsbury’s, SSE, AstraZeneca/GlaxoSmithKline, Vodafone, HSBC, Pearson, Royal Dutch Shell and Amlin. Billiton therefore adds a new sector for me – Mining. I’m looking for shares with dividend yields somewhere between the current FTSE 100 yield of 3.56% and 150% of the FTSE 100 yield. On a trailing yield of 4.6% billiton gets a tick. The company should have an unbroken history of continually increasing dividends plus dividends that increase at a rate equal to or greater than inflation. This criteria extends to 5 years but I know that billiton has been doing this for at least 7 years. Over the last 5 years, when priced in dollars, the dividend is up 47.6%. Over the same period inflation is up 18.0%. Another tick. A dividend cover of greater than 1.5 for all HYP type shares except utilities where I think that greater than 1.25 is ok. Here billiton passes with flying colours sitting on 2.1. ‘Creative accounting’ can make earnings and hence dividend cover look good. I therefore also set a greater than or equal to 2 criteria on Operating Cash Flows compared to Dividends. At 4.1 I see no problem. With a clean bill of health (even with demerger plans that will “unlock shareholder value” being worked on) I therefore grabbed a median holding this week at a purchase price of £17.10. So 25 minutes invested in the month for probably 99% of my return and 10 hours for 1%. A great example of the Pareto Principle at work. Good to see the hyp making progress and I believe BLT is a good long term play - the price has pulled back around 10% since the final results in August and hopefully not much downside from here. Look forward to see what is the next addition. Glad somebody also thinks BLT is a reasonable long term play. The market certainly doesn't. BLT is down 21% since the end of July 14 and in contrast the FTSE 100 is only down 4% over the same period. I remember you mentioning earlier in the year you had held it for a long time. Are you still holding? Yes, this has been in my portfolio since 2007 and doubled up end 2008. I did top-slice around 25% to release some cash March 2011 but the remainder still holding for the longer term. I had not quite appreciated quite how much the sp had fallen in recent months - I have been distracted by the supermarkets in recent weeks - Mr Market must be feeling generous! The share price is volatile at times but the income is very steady, even though the strength of the GBP has resulted in a slight reduction this year after conversion from USD. How many shares are you aiming for in your HYP RIT ? I have 27, aiming for 30. I originally set out to collect 15-20 but I know think that's a bit low. Looking today and assuming the future runs to averages with a fair wind I have about 2 years to run until early retirement. Looking at my projected UK equities value at that time and subtracting my current UK equities value then dividing by my current HYP median value (which is my buy amount each time) suggests I'll add another 15. I'll also reinvest my UK Equity tracker dividends which will add another 2. That would mean around 27 companies including my current 10. That quantity would also mean about 50% of my UK Equities allocation would be HYP which I'd be happy with. Of course the future won't be average so we'll see. Your 30 would be my upper limit. If I made it that far I'd start to top up existing holdings. I'm conscious that by holding too many could lead to diworsification rather than diversification. Out of interest do you hold any of my current 10 within your 27? If you were buying your next one today who would it be? Hi RIT, my current holding are: ADN, AV,AZN,BAE,BBY,BHP,BLND,BP,DGE,G4S,HSBA,IMT,MRW,NG,PSON,RIO,RR,SAB,SSE,STAN,TATE,TSCO,ULVR,UU,VOD. I will add Compass, Reckitt, Prudential when they yield > 3% and P/E < 20. That will give me 30 stocks. My HYP is a combo of HYP and dividend growth stocks built over the last 3 years. I don't go for just yield but quality as well. ULVR would be a good addition to your portfolio. Forward p/e of 19 and yielding 3.67%. Not sure how you feel about sin stocks but Imperial Tobacco and BaE are yielding 5.35% and 4.6% respectively with p/e < 12. TSCO will turnaround, now is time to buy, although dividend strategy is unknown. I also have a separate USA dividend growth portfolio - stuffed with KO, JNJ, PG, MCD, XOM, CVX, GIS, PEP. These typically yield 3% but grow 8-10% pa. After 5 years+ with reinvestment of dividends the yield will double and of course they are very high quality. Ideally I would like each to generate 25% income, but at the moment its 50%, 25%, 25%, 0% respectively. I'm an income investor, I don't look at benchmarks. I'm currently generating enough income to cover my living expenses, which feels great. Thanks for sharing. It would be great if you hang around as I'd be fascinated to see how that portfolio performs long term from both an income and capital perspective. Plenty of recognisable HYP stalwarts in there including some that I recognise as seemingly going through a bad patch at this point in time - namely BBY, MRW, TATE and TSCO. ULVR certainly on my watch list but a few likely adds prior. Still need to do my 'formal due diligence' but CLLN looks my next likely at current pricing. I note you don't have them as an add potential. Any reason for that? Is it because you already have BBY. Still sitting on the fence re fags and weapons. So far I've resisted but we'll see with time. Interesting you talk about US dividend growth stocks. I'm also over the next 2 years trying to transition to "generating enough income to cover my living expenses, which feels great". (Congratulations BTW - how many years did it take you to achieve that massive milestone?) I've been thinking of moving the international equities portion of my portfolio more towards income generation by using Vanguard's FTSE All-World High Dividend Yield UCITS ETF (VHYL) when new money is added or dividends are reinvested. Costs of 0.29% pa turning me off a little but Vanguard are really starting to sharpen their cost pencil lately. Interesting that you're just buying the shares direct in the US. Out of interest what ETF's are you using for your EM's and Europe? My EM's are a tracker within an insurance company pension. For Europe I'm predominantly using VEUR but I note that Vanguard have just released VERX which looks even more suitable as it's ex UK but with the same 0.12% TER. Hi RIT, its my pleasure. Yes, Balfour Beatty is same sector as Carillion. There was talk of a merger and CLLN can re-enter talks again next year. I hope that does happen, it will create a £3bn infrastructure company propelling it into the FTSE 100. In addition to the USA dividend growth stocks I mentioned, I also have some USA high yielders REITS (HCP, O), Utilities (SO) and MLP (KMI) and Telecom (T), would like to settle with about 20 stocks. Other stocks I would like to add is 3M, EMR, Colgate Palmolive, VISA, Disney, WMT. Currently the blended yield of my USA dividend growth stocks and high yielders is around 4%. The USA has 50% WW market cap and has very high quality companies. USA companies pay quarterly dividends and companies are loathed to ever cut dividends with 50+ years of interrupted dividend increases. I learnt a lot about dividend stocks from reading several books and awesome sites like The Conservative Income Investor, Dividend Mantra and Dividend Growth Investor. The Conservative Income Investor (Tim McAleenan) is so inspirational. I guess my background to investing is a little different. I worked for a USA Tech company. When it went IPO I made some significant cash which I just put in building society accounts paying 6% many years ago. When the bonds matured and interest rates fell, only then did I become interested in investing. Read about 50 books on investing including Tim Hales's, Motley fool, FT, sus bribed to Money Week, found the awesome Monevator site ....and the rest is history. I've always been kind of frugal. I have cash sitting on side lines which I need to deploy which will take me to full FI. Dividend EM & Europe ETFs are EMDV, SEDY, IAPD,EUDV, IDVY. The SPDR and I shares track different benchmarks, hence provide some diversification. Yielding 4-5.5% currently. I am looking at some EM local bond ETFs - EMDL, SEML which are yielding 5%, although I'm waiting for the FED to increase rates before pulling the trigger. I have a SIPP which is sitting in cash waiting for a correction - I know market timing - I don't claim to be perfect. I may even convert this into a 100% bond ETF with my ISA acting as the Equity portion ... I still have a few ideas to execute. Thanks for your site. I have learnt a lot from you, although I don't analyse information as much as you do. In the end whatever funds you have, you have to generate income, so why not do that now immediately via dividend shares, ETFS and Coupons and see it compound. Its a real motivators seeing cash in your brokerage account from dividends. Hi RIT, should add the USA stocks are purchased via a Charles Schwab USA $ account. I don't use UK brokers because of the currency conversion costs. The Charles Schwab account is US based but can be opened from UK. Trades are only $8, no re-investment charges for dividends. Great service and they have office in the UK that you can go to. Plus SEC protects to $500K. I did look at VHYL but most of my individual holdings kind of duplicate that ETF. BTW, all these holdings take very little of my time. I'm a buy and hold "Stephen Bland Strategic Ignorance" type of investor. I just track each dividend payment in a spread sheet, that's all. Thanks for sharing all of that wisdom. Plenty of ideas for me (and hopefully other readers) to DYOR with. It's those sort of comments that made me set up this site in the first place. 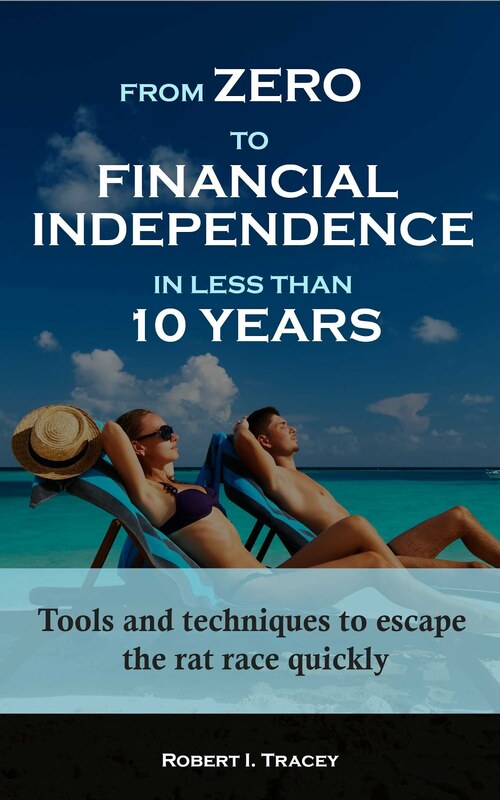 "In the end whatever funds you have, you have to generate income, so why not do that now immediately via dividend shares, ETFS and Coupons and see it compound." In 2007 I had no knowledge and I was still learning when I started this blog in 2009. Tim Hale's book (which you mention and I recommend under my RIT Recommends tab above) is one of those books for which I will be ever thankful. My strategy thus far has really been build the wealth from wherever you can, as quickly as you can and don't worry whether it comes from contributions, dividends or capital growth. Importantly I've also been careful to then try and manage portfolio risk to try and hang on to most of it. This is particularly relevant for me as because I've built it in only 7 years about 2/3 of my wealth creation thus far has come from hard graft with only 1/3 being dividends/capital gain. Now that I'm within a couple of years of FI it's time to focus on building a 'sustainable income stream' for which it sounds like you're well ahead of me. Thus again thanks for your thoughts as it provides plenty of food for thought. I do however want to be careful to do it without exposing myself to excessive expenses or taxes (another pillar that has worked well for me thus far) thus why I'll spend a couple of years I expect. My thought is really there's no rush as I won't need the income before then so I have time to get it right. "Its a real motivators seeing cash in your brokerage account from dividends." I 100% agree with that sentiment. Like you say, boring but effective! I'm just starting out really, piling my money into cash and my company pension for the minute. My only real objectives for the minute being to pay as little higher rate tax as possible (hence the piling into company pension) and to develop some kind of strategy that is mechanical to avoid any mental decisions on my part! hi rit and readers of..
with BHP Billiton shares at a 5 year low have you considered topping up your holding?